Halloween. What a wonderful holiday. Costumes, haunted houses, pumpkin evisceration, and free candy. Seriously, there are few holidays that can compete with Halloween in crazy awesomeness and weirdness (St. Patrick's day, I'm giving you the second place prize). When I used to work in the business world, I could wear orange ties and crazy socks to celebrate Halloween all month long. Now that I work in a hospital where I wear the same hospital provided scrubs every day, my options for self-expression are severely limited. 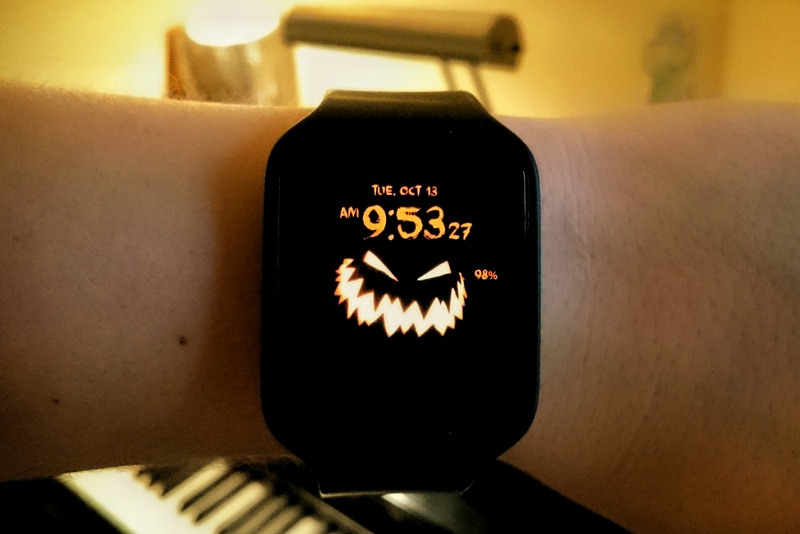 Fortunately, the Halloween Watch Face now exists and I can carry a little Halloween spirit (Get it?